You can import pre built demo contents on single click of import button. 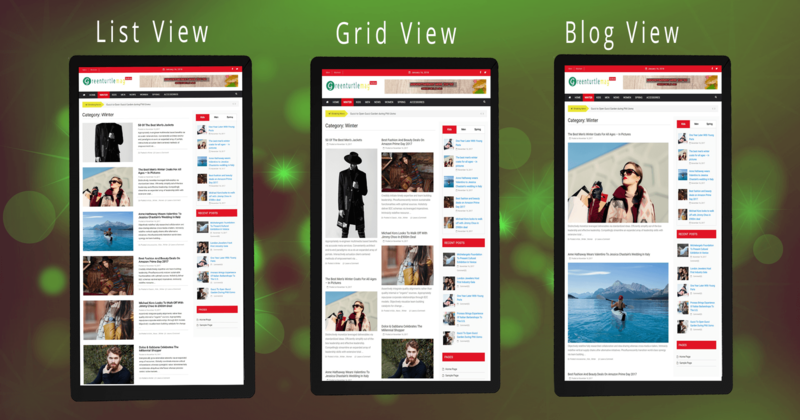 The theme is fully responsive and optimized for all possible devices . You can easily change theme color to match your requirement. Theme contains Pre-loader feature with enable/disable capibility. 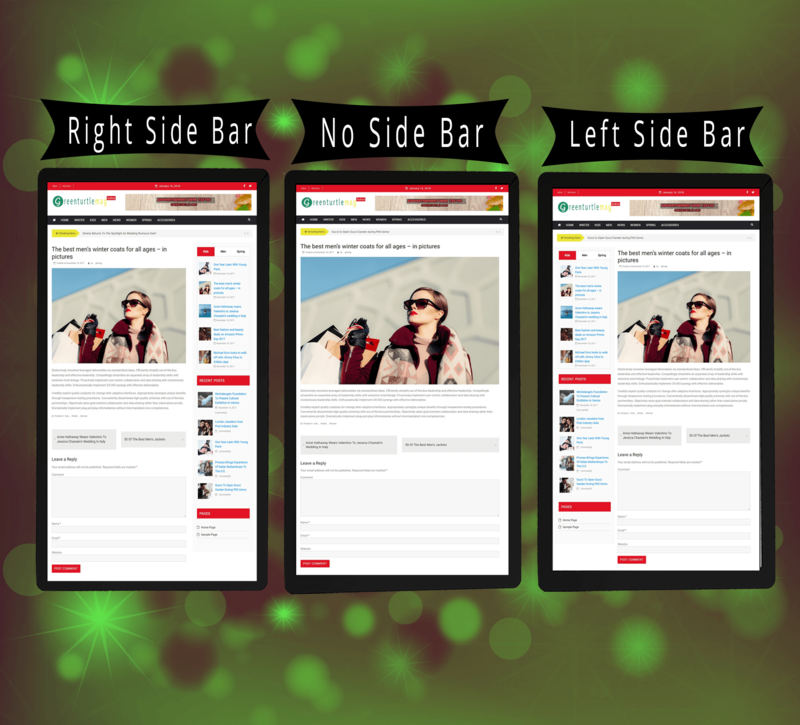 Theme contains multiple layouts for archive and single pages. Theme supports most of the popular plugins. Theme has dozens of customization options. You dont need to write code. We provide 24/7 theme support. 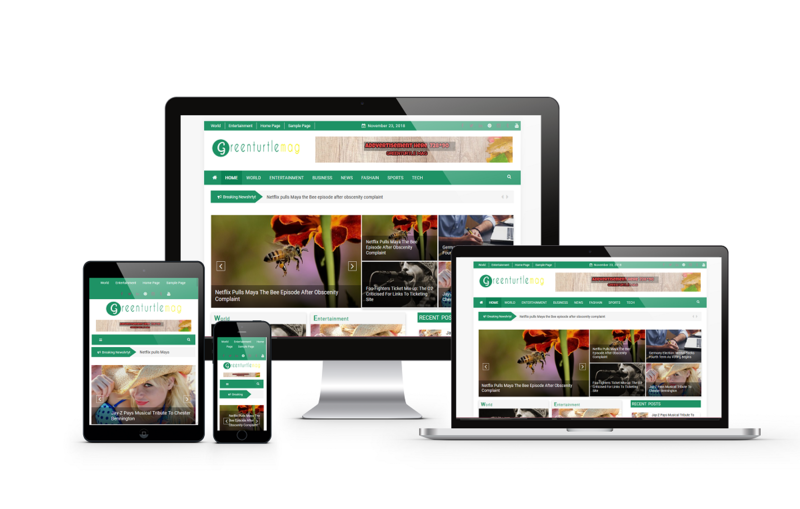 Greenturtle Mag Theme is a simple, beautifully designed responsive WordPress News & Magazine theme. 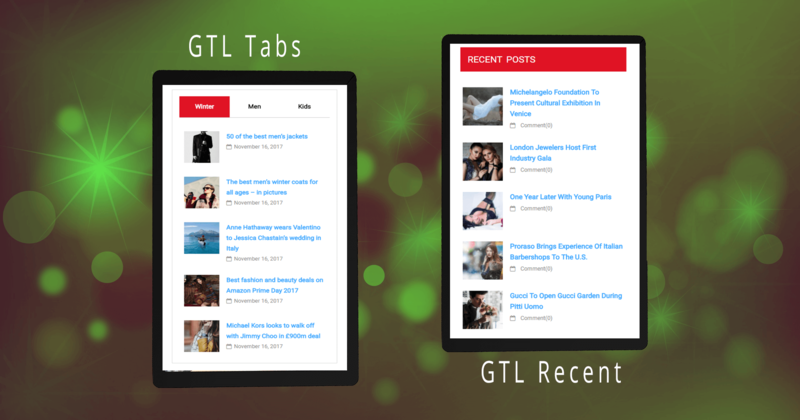 Greenturtle Mag theme is especially for News and Blog theme. 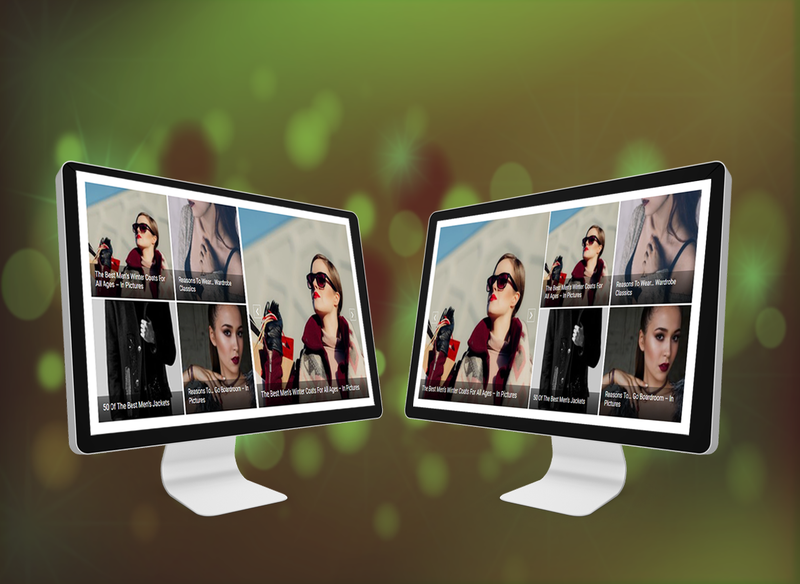 Fully responsive, cross-browser compatible, SEO friendly, Greenturtle Mag Theme is news and magazine theme and is suitable for news site, blog site , magazine site . We support via online chat, email, support forum.